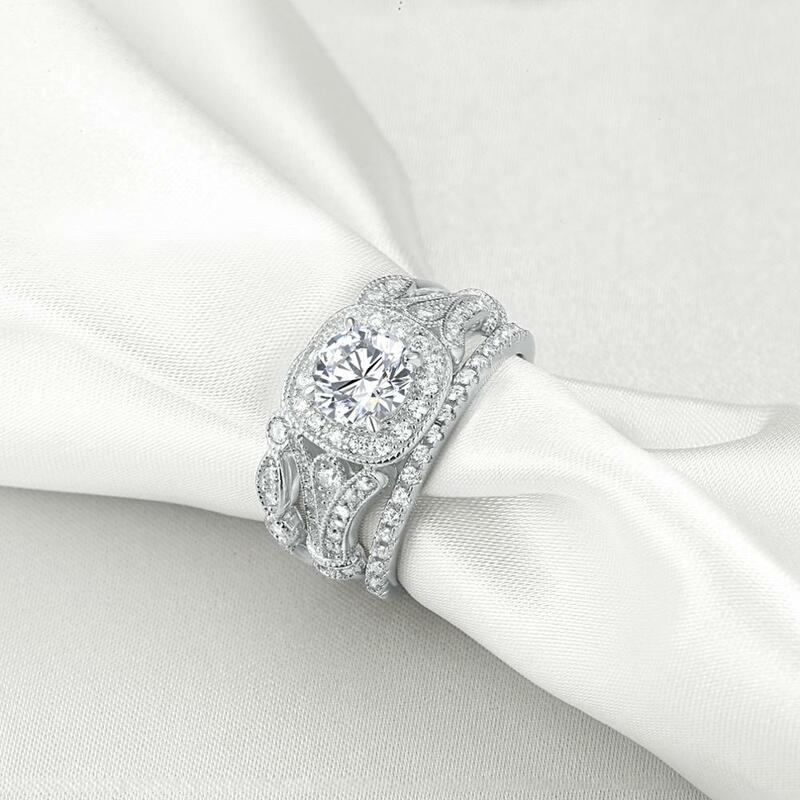 This beautiful petite 3 piece AAA grade cubic zirconia wedding set is crafted with high quality solid 925 sterling silver. 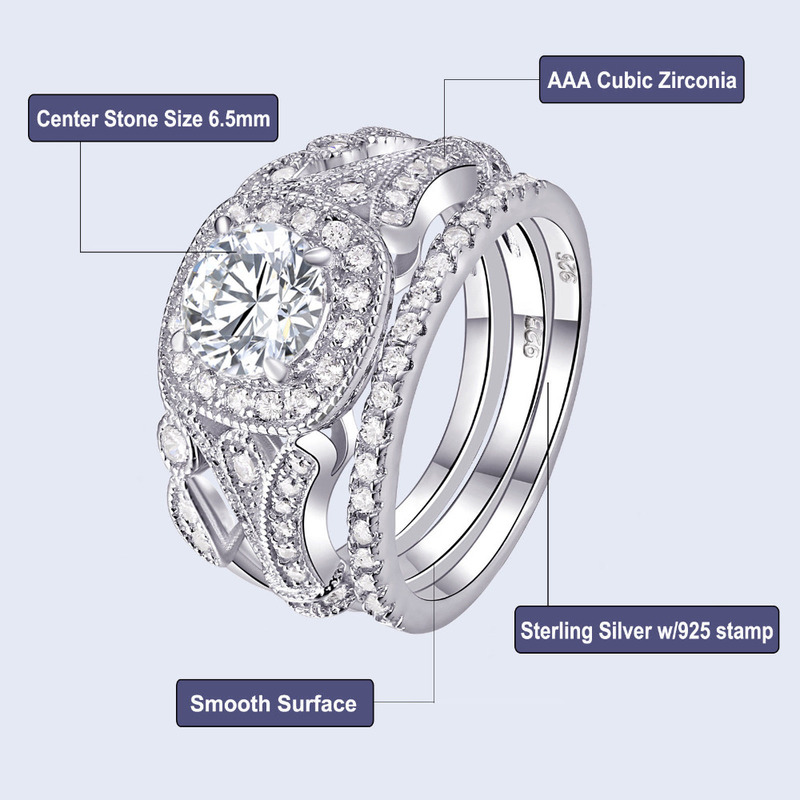 The ring features a 1 carat prong set round cut center stone, surrounded by 48 smaller round stones down the sides. 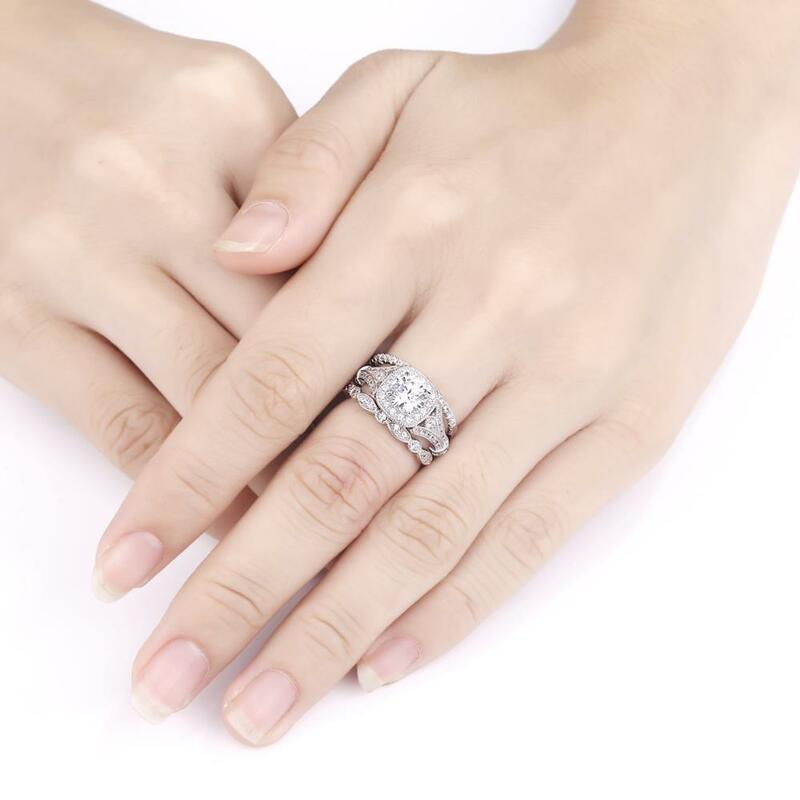 The two matching band features 29 matching round whitestones. 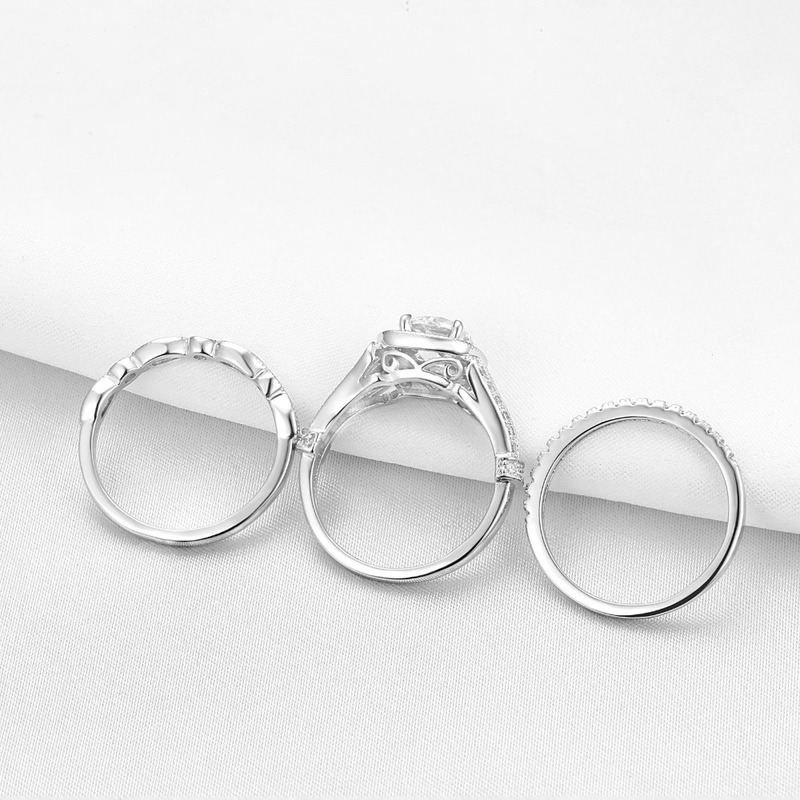 Très belle bague, trois anneaux en argent. Très vite arrivé.